Original intent is the judicial philosophy promoted by Supreme Court Justices Antonin Scalia and Clarence Thomas. Originalists believe the U.S. Constitution should be interpreted in the way the Founding Fathers understood it in 1789 – an era when only white men were allowed to vote and slavery was legal. Others believe the Constitution was crafted in broad, open-ended language and that its meaning evolves over time. Do the originalists promote a fair and neutral way for judges to interpret the U.S. Constitution, or does the meaning of the U.S. Constitution evolve over time? At a defining moment in the history of the nation, ORIGINAL INTENT: The Battle for America examines the meaning of the U.S. Constitution and how justices and judges decide cases. 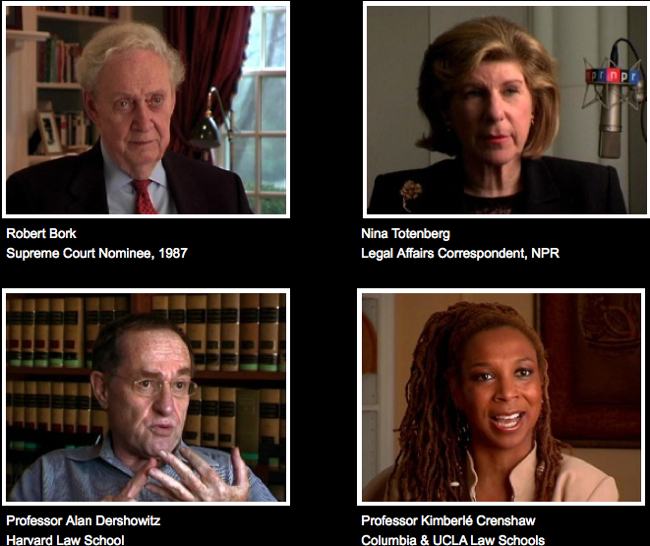 Watch as Robert Bork, Professor Erwin Chemerinsky, Professor Alan Dershowitz, Edwin Meese, Senator Alan Simpson, Nina Totenberg and other distinguished figures debate the issue.